There will come a time, God willing, when we can look back on these years with some measure of detachment and perspective, and consider ourselves wiser and maybe even holier for having lived through them. May that day be hastened. Pittsburgh, on October 17, 2008. My thanks to Bruce Robison and all those who attended. “The effectiveness of the Episcopal Church is hampered by its own peculiar faults.” So spoke the Bishop of Pittsburgh not in 1985 or 1995, but in 1955. “In some quarters it bogs down in ritualistic trivialities and dissensions over unimportant issues. In other places, it becomes deflected from its goal by what amounts to an idolatry of scholarship and biblical criticism. Or again, the energies of the Episcopal Church become drained off by the belief that the future of the faith hinges upon new educational techniques and round table discussions. Or the Church may become so broad and liberal that it agrees with everybody and stands for nothing.”  Such sentiments, it would appear, have a longer lineage than one might imagine from casual perusal of today’s newspaper headlines. It is both a privilege and a pleasure to address you tonight on the subject of 250 years of Anglican and Episcopal history and witness in this comparatively remote corner of western Pennsylvania. History is being made and never more so than in the past five years as global Anglicanism has reeled from crisis to crisis and relationships between provinces, dioceses and parishes have been irrevocably altered. A mere 20,000 Christians we may be, but we enjoy a notoriety out of all proportion to our numbers not just in the United States but across the world. I would like to begin with an expression of thanks to Bruce Robison and the Adult Programs Committee of St. Andrew's Church. I know of no better place to address some of the present ambiguities of our situation – less than two weeks from the historic vote on realignment – than in a heterogeneous parish that has chosen to remain Episcopal. Next in importance – though first in my heart – my wife Jennifer, who, in addition to being the principal breadwinner, has had to endure four years of married life in which “churchy” affairs have formed a frequent topic of conversation (or perhaps monologue would express it better). To the newest Bishop of the Province of the Southern Cone, I am grateful both that he considered it worthwhile to commission an official history and that, having done so, he refrained from seeking to exercise editorial judgments. In the course of two years, the only criticism Bob Duncan ever offered of my work was that he would like to see more attention given to the earliest phase of Anglican mission work, a criticism to which, I suspect, even the most ardent progressive would have little objection. As a scholar, I cannot begin to express my gratitude for the contribution of the diocesan archivist. Lynne Wohleber’s commitment to archival preservation, despite the limited resources with which she has been gifted, is worthy of high praise. Finally, every pledging member of the Diocese of Pittsburgh contributed to the stipend that I received between 2005 and 2007, an addition to our household income that was gratefully received. I hope that when our history is published in its entirety by Wipf and Stock next year, all will feel that this was money well spent. For me, this project has had both a personal and a professional aspect. I have been a member of Trinity Cathedral – which recently adopted a unique approach to the problem of governance in a post-realignment era – have served on its Chapter and have been a delegate to Diocesan Convention. Even those aware of my Communion Conservative tendencies may well be inclined to assume that the diocesan history is a puff piece intended to validate the course pursued by Robert Duncan in his years as Bishop. While I esteem Bishop Duncan and share many of the concerns that he has expressed over the years, I have had occasion to differ with him on a number of issues and have continued to entertain reservations about the wisdom of realignment even as I have come to accept its historical inevitability. Those who read my account of this year’s convention proceedings will have noted how I prefaced it with an extract from the last chapter of J. R. R. Tolkien’s The Return of the King, in which the Elves, accompanied by Frodo, Bilbo and Gandalf, depart into the West, leaving Sam to mourn their departure on the shores of Middle Earth. The scene amply captures own feelings as I watched the 2008 convention proceed to its denouement. If you prefer a Biblical analogy, consider that passage from Deuteronomy, where Moses, foremost among the Prophets, is denied entry to the Promised Land on account of his faithlessness at Meribah, even while the Lord permits him a vision of what will be. In a touching pre-convention message, Joseph Martin, rector of Church of Our Savior in Glenshaw, wrote of how God had emancipated him from his fear of leaving the Episcopal Church, where all doubts boiled down to one essential question: “What will ministry life be like outside of the comfort, security, and status I had known all my life in the Episcopal Church? A question I had talked a good game about but never really faced seriously, and it was daunting.”  I have no doubt of the genuineness of his conviction and call, and yet I also do not doubt the convictions of those who find the view from the Anglican Pisgah as remote as did Moses. 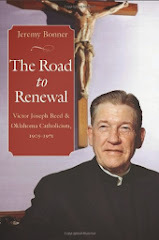 Since at least 2006 many diocesan leaders have preferred to stress the potential of new beginnings rather than lament what is, for them, already lost. Most of them, as Philip Wainwright, rector of St. Peter’s, Brentwood, so eloquently noted at St. Martin’s, Monroeville, have been engaged in an increasingly rearguard action for most of their adult life and perhaps welcome the opportunity finally to be free of constraint and conflict. It is not the historian’s task to predict the future but rather to focus on what is passing. In some respects, the assertions frequently made in discussions of realignment over the past five years – that the Episcopal Diocese of Pittsburgh has not changed its position, but stands where it has always stood – seem to me misleading. 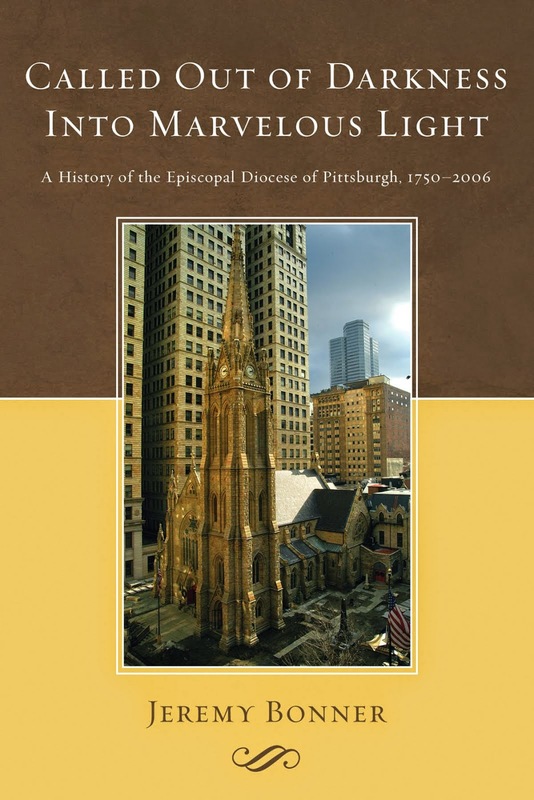 While the Episcopal Church in the past half-century moved a considerable distance from what church historian Robert Prichard has called the “Mere Christianity” consensus of the 1920s,  postwar Pittsburgh did not remain in ecclesiological stasis in the meantime. In a world where the definition of Anglican is increasingly contested – not least because Anglicanism no longer boasts a source of ultimate authority that commands universal respect – Pittsburgh Episcopalians have contributed their mite to redefining it. It is easy, too easy, merely to note the conflicts between the liberal minority in this diocese and their conservative counterparts, but ecclesiological conflict is not confined to simple liberal/conservative dichotomies. If you doubt me, take Ohio River Boulevard to Sewickley, where you may stand in the lobby of St. Stephen’s Church and marvel at the throng that gathers to worship God in contemporary liturgy and praise music. Then follow the signs that point south and east to Charleroi, climb the steep Mon Valley hill and enter that shrine to working class Anglo Catholicism. Geoff Chapman and Bill Illgenfritz today, John Guest and Joseph Wittkofski forty years ago, practitioners of two traditions, both deeply rooted in the Anglican way and completely incompatible in terms of nineteenth century theology! And if we argue that both still express the essentials of the faith, then how do we account for those conservatives who today have chosen not to follow the path of realignment? Sometimes it is not the open opponent but “our companion, our guide and our own familiar friend,”  whose perceived betrayal hurts the most. For the last few years, I have been uniquely privileged as a historian, to write a work of historical context for an ecclesiastical organization undergoing the most profound transformation of its 142-year history. While I sat in a little side office and read issues of the diocesan newspaper from more than 100 years earlier, I could overhear conference calls with other Anglican Communion Network bishops (rarely the substance, unfortunately). 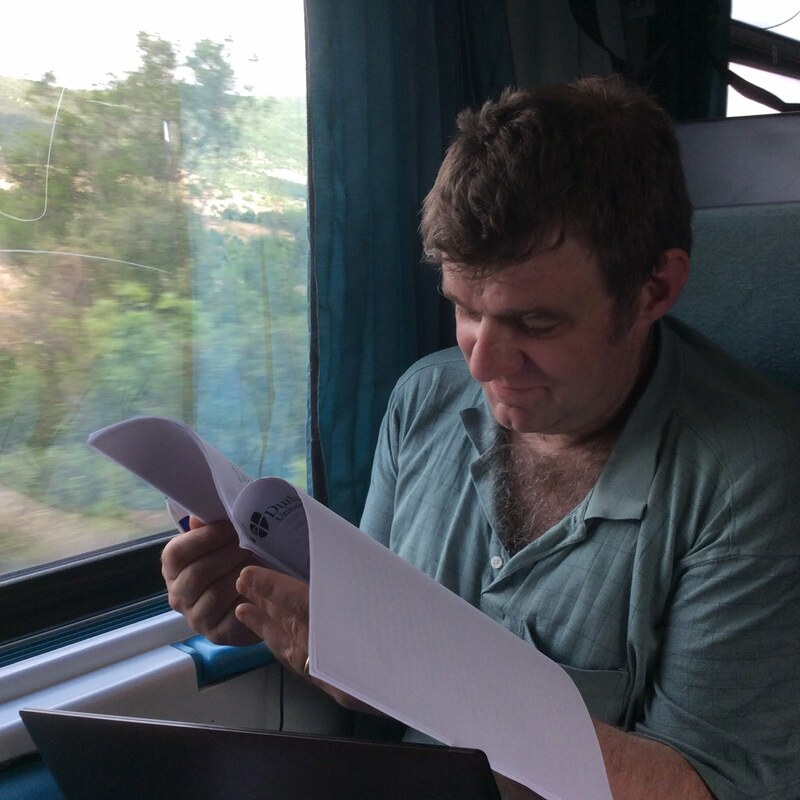 From time to time the arch purveyor of diocesan propaganda – that is to say our esteemed director of communications – would intrude his head to inquire what tidbit of diocesan scandal from far-off days was currently preoccupying me. So I sat and recorded history, while all around history was being made. Four years ago, as my wife and I prepared to move to Pittsburgh, I knew next to nothing about the diocese (though I confess that Bob Duncan’s name was not entirely unknown to me). It has been an interesting journey. What then of my title? Episcopal Dawn is, I hope, self-explanatory. With much of this region barely settled during the 1790s, the birth of the Episcopal Church and the emergence of an Anglican witness largely coincided. That pattern held in Pittsburgh for over 150 years: a strong Evangelical presence in the early nineteenth century gradually supplanted by a more Anglo Catholic outlook; an embrace of the Social Gospel – though hardly on the scale of some other urban dioceses – during the early twentieth century; and a period of contraction during the 1920s and 1930s. The contributions of undertakings as diverse as the Pittsburgh Experiment, Trinity School for Ministry, the South American Missionary Society, Anglicans for Life and Rock the World Youth Alliance should not blind us to the realities inherent in this form of spiritual identity. What developed in Pittsburgh during the 1970s and 1980s was a profoundly different understanding of “being church” from that found in most Episcopal dioceses. Its strengths were and are undeniable. It meets the unchurched where they are and focuses on bringing them into right relationship with their Lord and Savior. It confronts secular culture, refusing to make concessions on matters of doctrine merely to conciliate the secularist. Finally, it undercuts the fatal tendency of institutional Protestantism to descend into bureaucratic obscurantism by keeping its organization simple and suiting its structures to the task at hand. Such discipleship is of a high order and yet through it runs potential contradictions, the same that drove the Reformed Episcopalians into schism. Modern Evangelicalism operates within the context of a wider conservative American Protestantism. Sometimes the suggestion that “they’re not really Anglicans” can be understood as a coded attempt to remove conservative voices from the debate, but the present discussion of the “two integrities” on female ordination inherent in the realigning movement testifies to enduring tensions. “People have a deep need to express their faith in ways that are culturally relevant to them,” observed one Evangelical priest in 1992, “we don’t really need pipe organs and medieval dress and archaic language and music.”  Taken at face value, such observations reflect an obliviousness to the fact that an attachment to the “archaic” can be its own form of religious counter-culture, if it is a truly lived experience and not merely a liturgical performance. It is in this context, then, that I would speak of Anglican Sunset, even as the more fervent proponents of realignment would doubtless prefer “Episcopal Sunset, Anglican Dawn.” Anglican identity is changing even as we sit here and we are party to that transformation. The global reformation is at our door, as postcolonial Anglicanism assumes the driving seat. For some, however, reformation and realignment increasingly take on the character of the view from Pisgah. There is an element of tragedy amid the promise, one which I think we would all do well to appropriate. Too often, the eagerness to be gone clouds awareness of the heritage that will be sacrificed on the altar of fidelity. It is sometimes hard to escape the feeling that the legacies of Kemper, Huntington and Brent may be unavoidable casualties of the realignment process. As the Progressive Era dawned, another English influence had secured a hold on the American Anglican imagination. Promoted by such mainstream Episcopal leaders as William Reed Huntington, rector of Grace Church, New York,  the “national church idea” found favor with such Pittsburghers as Episcopal lawyer Hill Burgwin, who argued that the Protestant Episcopal Church should adopt the name, “The National Church of the United States .” Presbyterians and the Methodists lacked a national organization, Burgwin explained; Congregationalists and Baptists lacked a national territorial organization; and the Roman Catholics were as yet a missionary church. Seven years later, the rector of Christ Church, Greensburg, voiced similar sentiments, while discussing a proposal to drop the word Protestant from the Church’s title. “[Why],” he demanded, “should this comparatively small branch of the one great Anglican Communion be the only branch that holds on to an epithet which . . . gives her a sectarian or denominational name?”  The popularity of the national church idea revealed the lingering attachment of many American Anglicans to notions of establishment, though its proponents sought to minimize this by suggesting that the Protestant Episcopal Church would serve merely as the vehicle for the reunion of the scattered strands of American Protestantism. Of all the bishops of Pittsburgh, only Whitehead’s successor, Alexander Mann, spoke unequivocally to a largely American idiom for Episcopal identity. 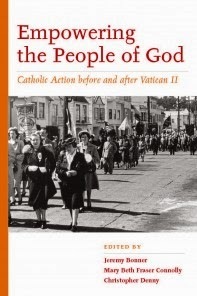 “[Our] influence is out of all proportion to our numbers,” Mann observed in 1933, “and when the Episcopal Church speaks in her corporate capacity, no Christian Communion in the country commands more truly the attention of thoughtful men. We are one per cent of the population, we are thirty per cent of college and university students . . . We are too Catholic for some of our members and we are too Protestant for others. We are told that our position is illogical, but after all what is it but the position of the family, where one son is an extreme radical and one is an ultra conservative, but where all the children are held together by the bond of a common loyalty, a common love and trust. Mann’s episcopate, however, largely coincided with the social and economic upheavals of the Great Depression. By the time he resigned his position in 1943 (the first Pittsburgh bishop not to die in office) circumstances had radically altered. For many progressives, contemporary Evangelicalism stands outside any recognized canon of Anglican belief. Writing in a recent online edition of Episcopal Life, Dr. Joan Gundersen of Progressive Episcopalians of Pittsburgh described the recently formed Somerset Anglican Fellowship, a breakaway group from St. Francis-in-the-Fields Church that opposed the latter’s decision not to realign, as “evangelical Presbyterians.”  While I do not doubt that many in that group would find common cause with conservative Presbyterianism, it is not clear to me that this disqualifies them from Anglican identity, if only because there are so few absolute theological benchmarks. What then has been the reality of Anglican identity here in Pittsburgh in the recent past? 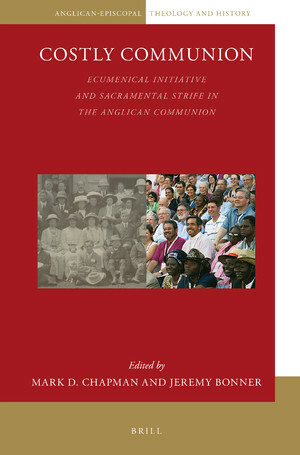 My thesis, couched in more formal terms in a recently published Anglican and Episcopal History article, is that Pittsburgh’s shift from Episcopal mainstream to Anglican mainstream – from national to global, if you will – has been at least as much an indigenous development as the product of alien influences encroaching upon the ecclesiastical body politic. What took place between 1953 and 2003 owed as much to Bishop Austin Pardue and Samuel Moor Shoemaker of Calvary Church, as it did to Bishop Alden Hathaway and John Guest of St. Stephen’s, Sewickley. Specialist ministries to neglected groups have also been a hallmark of the Evangelical subculture. Those who have assisted at Uptown’s Shepherd’s Heart Fellowship, a congregation drawn almost exclusively from Pittsburgh’s homeless, are all too aware of the remarkable bonds that exist between the lightly-compensated clergy and lay leaders and the materially impoverished body of the congregation. Upriver, in economically straitened Ambridge, we find the socially diverse congregation of Church of the Savior, which began life in the living room of a Trinity School for Ministry seminarian. This is not your typical middle class Episcopal congregation, but a body of believers inspired by something more than a concern for liturgical propriety. The men Pardue found to answer that call proved more than equal to the task. Consider the case of Michael Budzanoski, an officer of the United Mine Workers and a member of St. Mary’s, Charleroi. “We cannot say that one side has been completely good while the other was wholly bad,” Budzanoski conceded in 1949. “The modern historian knows there have been selfish men on both sides . . . The threat of Communism may be having beneficial results among us. We’re being forced to make our Christianity into a living ideology.”  Equally striking is the story of Dave Griffith, the Homestead Works employee and CIO official who organized a committee to monitor workplace conditions during the 1950s that brought together representatives from the workforce, salaried employees and management, encouraged his co-workers to hold regular prayer meetings, and brought them to gatherings at Calvary Church where they mingled with the sons of privileged Episcopalians. Crossing the class divide is nothing new for Pittsburgh Episcopalians. And there’s the rub. At times, are we not all guilty of such a charge? We can look to so many efforts within this diocese to move beyond selfish individualism. To Nancy Chalfant and the Verland Foundation; to Richard Davies and the pre-school for handicapped children at St. Peter’s, Brentwood; to Sam Shoemaker and the Pittsburgh Experiment; to Becky Spanos and Anglicans for Life (formerly the National Organization of Episcopalians for Life); to David Else and the Committee on Alcohol and Drug Abuse; to Lynn Edwards and the Shepherd Wellness Center for AIDS sufferers; to Whis Hays and Rock the World Youth Alliance. Pittsburgh’s Episcopalians have set out to change the culture over the past half-century, not conform to it. Amidst all this innovation, however, a parting of ways has become ever more apparent between confessing Anglicans (of all theological stripes) and their Episcopal counterparts. It came as no surprise to me last night to hear Joan Gundersen confess that no parish from District One had expressed interest in remaining part of the enduring Episcopal Diocese of Pittsburgh. The Beaver Valley, secured long ago by John Guest and his successors, is solid for realignment. It is still ironic to recall that in March 1991, it was Bishop Alden Hathaway who was expressing doubts about “the absence of ecclesiastic theology and [lack of] conformity with Anglicanism,”  at Orchard Hill Church, (planted by St. Stephen’s, Sewickley, in 1987) and yet nine months later Episcopal Life could feature it as an example of successful church planting. Within days, Orchard Hill’s leaders had announced their departure from the denomination, the first but by no means the last to do so. We can debate the merits of their decision, yet the central fact remains that the shift in theological perspective has occurred at both ends of the spectrum. If Bishop Pardue – hardly a raving fundamentalist – was aware of it in the 1950s, it is pointless to argue a case of overreaction half a century on. Early in this address I stated the undesirability of a historian predicting the future. Now I choose to exercise the speaker’s privilege. As we enter the twilight world of multiple standing committees and mutual disavowal of the legal standing of each side’s authorities, I confess I am close to despair. One thing I will declare: a protracted war waged for control of assets, while unlikely to destroy communities in Sewickley or Moon Township, in East Liberty and Mt Lebanon, could spell the death knell of all too many small parishes, from Kittanning to Crafton and from Monongahela to Mt Washington. Where, I find myself wondering, is the spirit that will seek first the preservation of a Christian community no matter what its affiliation? I can imagine the question at the Last Judgment: “How did you vote on realignment?” and the immediate follow-up (regardless of the answer): “Following that decision, what did you then do to proclaim the Good News of Jesus Christ?” What I cannot imagine is the question: “Whom did you sue (or against what suits did you defend) in order to preserve your property?” If this is an overly simplistic way of putting it, well . . . there’s a lot of that about these days. God grant that when that day comes we may all be found worthy of the task to which we have been called. If Pittsburgh’s Anglicans and Episcopalians seek a new post-realignment paradigm for relationship, they could hardly do better. Convention Journal of the Episcopal Diocese of Pittsburgh, May 10, 1955, 22. See the discussion in Robert W. Prichard, “The Place of Doctrine in the Episcopal Church,” in Ephraim Radner and George R. Sumner, eds., Reclaiming Faith: Essays on Orthodoxy in the Episcopal Church and the Baltimore Declaration (Grand Rapids, MI: William B. Eerdmans Publishing Company, 1993), 13-45. H. Richard Niebuhr, The Kingdom of God in America (New York: Harper & Brothers, 1937), 193. Convention Journal, 24 May 1966, 38. Church and Community: Christian Social Relations Bulletin, October 1973, RG4A/2.3:1, Box 6DC, Episcopal Diocese of Pittsburgh (hereafter EDP). Church and Community: Christian Social Relations Bulletin, November, 1973, RG4A/2.3:1, Box 6DC, EDP. Duncan, “Anglicanism Come of Age,” 4. 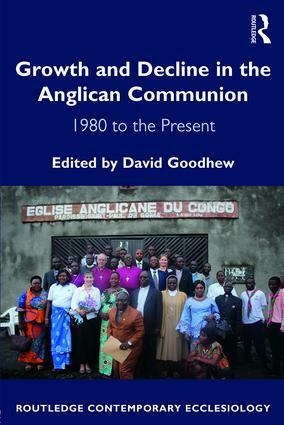 See Miranda K. Hassett, Anglican Communion in Crisis: How Episcopal Dissidents and Their African Allies are Reshaping Anglicanism. (Princeton: Princeton University Press, 2007). Revd. Joseph Doddridge to Bp. John H. Hobart, December 1816, in Revd. Joseph Doddridge, Memoirs, Letter and Papers: Establishment of the Church in Western Pennsylvania (n.d.). Convention Journal, June 9-10, 1875, 51. Convention Journal, June 8-9, 1887, 68-69. O. Smalley to Rt. Revd. Alexander Mann, June 7, 1937, Nancy K. Pushee to Rt. Revd. Alexander Mann, May 16, 1937, RG2/3.1, Box 6BP, EDP. Convention Journal, January 28-29, 1941, 14. Rt. Revd. Dr. John Kerfoot to Revd. Dr. Dix, November 1872, quoted in Hall Harrison, Life of the Right Reverend John Barrett Kerfoot, First Bishop of Pittsburgh Vol. 2 (New York: James Pott and Co., 1886), 493-494. Revd. George Rogers, “Recollections of the Church in Pittsburgh Thirty Years Ago,” 15, June 15, 1915, RG5/1.1, Box 1DP, EDP. Convention Journal, June 11-12, 1890, 30, 38-42, 45-46; Rogers, “Recollections of the Church in Pittsburgh,” 8-9. See Brooke Foss Wescott, Social Aspects of Christianity. (New York: Macmillan and Co., 1887). William R. Huntington, The Church-Idea: An Essay Toward Unity. (New York: E.P. Dutton and Company, 1870). Hill Burgwin to Editor of Church Standard, April 16, 1898, RG2/2.2, Box 3BP, EDP. Rt. Revd. Alexander Mann, “Sermon Preached at the Consecration of TrinityChurch, Geneva, NY,” Memorial Day, 1933, RG2/3.1, Box 6BP, EDP. Board of Examining Chaplains Minutes, March 3, 1982, RG4A/2.1:2, Box 2DC, EDP. Pittsburgh Post-Gazette, May 11, 2004; PEPtalk, May-June 2004. E. J. Edsall, Three Generations: A History of Calvary Church, Pittsburgh, Pennsylvania, 1855-1942. (Unpublished manuscript, 1942), 142. Diocesan Council – District X Minutes, September 21, 1987, RG4A/2.1:1, Box 1DC, EDP. Convention Journal, May 11, 1954, 41. Walter Righter interviewed by Jeremy Bonner, July 18, 2006, Tape A.
 Helen S. Shoemaker, I Stand by the Door: The Life of Sam Shoemaker. (New York: Harper and Row, 1967), 130-32. Church and Community: Christian Social Relations Bulletin, May 1968, RG4A/2.3:1, Box 6DC, EDP. Church and Community: Christian Social Relations Bulletin, August 1967, RG4A/2.3:1, Box 6DC, EDP. Convention Journal, May 13, 1969, 16, 34; Church News, June 1969. Righter interview, July 18, 2006, Tape A. Church News, June 1965; Christian Social Relations Bulletin, November 1966, RG4A/2.3:1, Box 6DC, EDP. Standing Committee Minutes, March 18, 1991, RG4A/1.8, Box 10DRB, EDP. Standing Committee Minutes, December 15-16, 1991, RG4A/1.8, Box 10DRB, EDP; Trinity, February 1992. D. Chalfant, Child of Grace: A Mother’s Life Changed by a Daughter’s Special Needs. (Wheaton, IL: Harold Shaw Publishers, 1988), 30. This evening I attended an Across the Aisle meeting hosted by our parish and came away with a more positive impression than I anticipated. First, the tone was civil. Jim Simons opened proceedings with an expression of hope that all present could agree on a common understanding of Jesus Christ and his salvific work and noted that the national church had expressed a desire for reorganization in as autonomous a fashion as possible. He outlined the manner in which he was informed of his removal from the original Standing Committee (by phone and without opportunity to discuss the matter with his former colleagues) and cited Title 1, Canon 1.2.4 (a) as the authority for the Presiding Bishop to recognize the new Standing Committee. He noted that the search for an acting bishop is under way and that a sitting bishop has been invited to assist the search committee in the weeks ahead. He also noted that there had been many messages of support and that he was receiving upwards of 100 e-mails every day. Lou Hays from St. Paul's, Mt Lebanon, discussed parochial issues, being careful to stress that 'only individuals can leave the Episcopal Church.' He noted that parishes need do nothing to remain in the Episcopal Church, but that a vestry could confirm that it was remaining by resolution and by sending their assessment to the Episcopal Diocese (the Southern Cone Diocese was, throughout these proceedings, referred to as "the Oliver Building"). Those parishes still in discernment he urged to take time over their decision. Small dissenting groups might form house churches; larger groups should aim to reorganize; if the vestry seeks to realign but the congregation is generally opposed (is there any such situation in Pittsburgh?) then people should stay and "fight for your parish and your rights." If a parish was on the episcopal visitation schedule and the bishop turned up unannounced (Bishop Henry sitting next to me raised his eyebrows at that) one should invite him to worship but not allow him to preside, though if he did it "wouldn't be a fatal indicator" of realignment. I asked Jim Simons where the Standing Committee saw the relationship between the realigning and the remaining some months down the road. He was noncommittal, but praised the Cathedral resolution as a model that might serve as a way forward and I believe he was being genuine when he said it. Someone from St. Alban's, Murrysville, asked if a remnant from a realigned parish would be allowed to send delegates to the Episcopal convention, to which the answer was yes. A question about parochial endowment monies held by the Southern Cone Diocese led Jim to remark that parishes were free to ask for such monies to be returned to them and that he didn't anticipate that such requests would be ignored. "That doesn't sound like the character of folks there," he added. Jim went on to note: "Your pastoral needs and your spiritual needs take precedence over every other issue;" and introduced Scott Quinn as the priest responsible for assisting parishes trying to rebuild their devotional life. Joan Gundersen reported on the special convention planned for December 13. All parishes are to be asked if they're sending delegates and the main business of the day will be electing new officers (letters are to be sent to members of diocesan bodies other than the Standing Committee asking them where they stand on realignment). There will also be district elections (interestingly, no District One parish has expressed interest in remaining with the Episcopal Diocese - John Guest won the battle for the hearts and minds of the Beaver Valley years ago). It is possible that there will be an ordination at the closing Eucharist. One attendee expressed frustration that the mailing list for the Trinity newsletter had been denied to the Episcopal Diocese (that was a bad decision on the Southern Cone's part, say I). Another person asked why they couldn't share properties with the other side. "Do the Southern Cone hate us so much," she asked, "that they don't want to share?" To me, this is a glimmer of hope that there are those on both sides looking for a way forward and I suspect there are many parishes that would welcome that option. Jim Simons agreed that that might well be the way to resolve some of the hurt down the road. One final piece of interesting news. The Presiding Bishop will be at Calvary Church on All Saints Sunday! Then Elrond and Galadriel rode on; for the Third Age was over, and the Days of the Rings were past, and an end was come of the story and song of those times . . . And when they had passed from the Shire, going about the south skirts of the White Downs, they came to the Far Downs, and to the Towers, and looked on the distant Sea; and so they rode down at last to Mithlond, to the Grey Havens in the long firth of Lune. As they came to the gates Cirdan the Shipwright came forth to greet them. Very tall he was, and his beard was long, and he was grey and old, save that his eyes were keen as stars; and he looked at them and bowed, and said: ‘All is now ready.’ Then Cirdan led them to the Havens, and there was a white ship lying, and upon the quay stood a figure robed all in white awaiting them. As he turned and came towards them Frodo saw that it was Gandalf; and on his hand he wore the Third Ring, Narya the Great, and the stone upon it was red as fire. Then those who were to go were glad, for they knew that Gandalf also would take ship with them. But Sam was now sorrowful at heart, and it seemed to him that if the parting would be bitter, more grievous still would be the long road home alone . . . and as he looked at the grey sea he saw only a shadow on the waters that was soon lost in the West. There still he stood far into the night, hearing only the sigh and murmur of the waves on the shores of Middle Earth and the sound of them sank into his heart. And so, without great fanfare, the greater part of the Episcopal Diocese of Pittsburgh passes to the Southern Cone, almost exactly five years after its leaders first proclaimed at St. Martin’s, Monroeville, their intention to uphold historic Christian teaching and practice, whatever the Episcopal Church might choose to do. Once again assembled in St. Martin’s, the church where George Stockhowe presided over Pittsburgh’s Episcopal charismatic renewal, deputies affirmed a decision to realign with the Province of the Southern Cone. In the clergy order the vote was 121-33 (with three abstentions and two invalid votes) and in the lay order 119-69 (with three abstentions). The vote in favor was 76.1 percent in the clergy order (compared to 81.9 percent in 2007) and 62.3 percent in the lay order (compared to 66.7 percent in 2007). There were twenty-six more clergy delegates and fourteen more lay delegates present this year. There were moments both of drama and pure entertainment. The sight of assisting (not Assistant, as he made clear) Bishop Henry Scriven ringing a large hand bell to summon dilatory delegates to their places should live long in the memory. Likewise, Canon Missioner Mary Hays’ description of herself as a “Pittsburgh babe,” by which she intended merely to reference herself as a comparative newcomer, evoked a storm of merriment. And perhaps equally sobering, in the immediate aftermath of the vote, Father Jim Simons of St. Michael’s, Ligonier, rising to ask that his opposition be recorded in the minutes (rejected by the presiding officer as running contrary to the earlier convention decision not to hold a recorded vote) and the somewhat ponderous announcement of Dr. Harold Lewis of Calvary that, in light of the realignment vote, his delegation could no longer be part of proceedings, a statement which, I fear, did not evoke quite the sentiments from the rest of the assembly that he might have wished. Convention convened at 8:30 AM, with Standing Committee president David Wilson in the chair. After an invocation from Canon Hays, Wilson announced that the practice in the absence of the bishop is to appoint a presbyter to preside and Jonathan Millard of Church of the Ascension, Oakland, was appointed without objection, Wilson happily handing over a copy of Roberts’ Rules of Order for Dummies. Father Millard welcomed a certain representative of the Province of the Southern Cone, permitted on the floor by virtue of a provision whereby clergy from churches in communion with the Episcopal Church may be present with voice but no vote. Thunderous applause followed. A quorum was reported to be present. After the presiding officer ruled out of order a motion that the credentials of lay deputies pledged to realign be regarded as invalid, discussion moved to the question of the admission of four new church plants – Seeds of Hope, Bloomfield; Charis 247, Coraopolis; Grace Anglican Fellowship, Slippery Rock; and Somerset Anglican Fellowship, Somerset. Procedural debates held up proceedings for a while as St. Francis-in-the-Fields, Somerset, from which Somerset Anglican Fellowship had been carved to accommodate more fervent advocates of realignment, objected to the Diocesan Council’s proposal to give each entity two delegates (when the old parish would have been entitled to three). Father Millard ruled that St. Francis be given its full complement, based on its original parochial report. Following this, Father Charles Martin, a hoary old parliamentarian of conventions past, rose to question whether it was appropriate to admit four new congregations to membership whose first act would be to vote themselves out of the Episcopal Church. As I understood it, his point had less to do with the appropriateness or otherwise of realignment than with whether it was proper to admit them now (rather than after the realignment vote). A cynic might be tempted to ask whether these plants were admitted at this time at least in part to bolster the “aye” vote. All the new parishes were admitted. As was the case a year ago, convention approved use of a paper ballot that would provide a record of the vote without subjecting individuals to undue pressure (as a historian I rather regret this as it would be interesting to have the record of names to compare with the listing from the 2003 convention, but there you are). There followed a short discussion of the minutes from last year’s convention, where it was asserted that the chancellor did not make public a ruling that a list of those opposing realignment permitted by Bishop Duncan would not be printed in the minutes. There being no verifiable proof (only differing memories of that day), the convention retained the original language. Convention then adjourned for district meetings with the declared intent to reconvene at 11:40 AM. In the visitors gallery I saw one Bill Eaton in a clerical collar and identified by his badge as AMIA, while in the corridor I encountered John Guest, still following diocesan conventions forty years after he first arrived in Pittsburgh. Bishop Henry was heard to cry “I’m hungry, I want my lunch!” and delegates filed back to complete the process. After a procedural amendment regarding lay membership on the Board of Trustees, we turned to the composite amendment changing Articles 1, 12 and 13 of the Constitution. Joan Gundersen moved that since this conflicted with a “higher order rule” (the Constitution of the Episcopal Church) we should not proceed, but the presiding officer accepted legal advice that this part of Roberts’ Rules did not apply to questions of disaffiliation. There followed twenty minutes of valuable testimony. Deacon Becky Spanos’s reminder to everyone present of the Episcopal Church’s neglect of the culture of life was a welcome reminder of the burden that so many within the renewal movement have had to bear, yet the testimony of Kris Opat (of the Three Nails plant), a TESM student and protégé of Whis Hays, that he could not support realignment demonstrates how many people are torn. From All Saints, Leechburg, a cry of pain for the “undefined Christianity” of recent years, was measured against a warning from Christ Church, North Hills, that withdrawal will leave the Episcopal Church even less accountable than it is today. From Battle Brown of Seeds of Hope the word that “Today is a Sad and Glorious Day,” to the pledge of Father Jay Geisler of St. Stephen’s, McKeesport, that he will not sever friendships after realignment. And my personal favorite (a fellow Brit), Father Philip Wainwright of St. Peter’s, Brentwood, affirming that many of the national church leadership are among the lost but that we are sent to call the lost to repentance. Many in Pittsburgh’s diocesan leadership have tried time and again to get them to see, Father Wainwright admitted, and he blames no one who feels they can do no more, but if anyone was in any doubt then perhaps God was still calling them to stay and fight. A motion to continue debate was defeated; clearly most delegates had had enough. At 12:15 PM balloting began. While waiting for the result, delegates approved a provisional budget and parochial assessments, being warned that various parishes (on both sides) had indicated that they would cease to pay assessments starting tomorrow, depending upon the outcome of the vote. Responsibility for adjusting the budget was handed to Diocesan Council with instructions to report back to delegates in writing in six months time. Bishop Henry (soon to depart for England for a job with SAMS) reported on his experiences of the ongoing life of the diocese. Parishes, he said are getting on with mission. At a recent visitation to St, Philip’s, Moon Township, he confirmed 54 teenagers and young adults! We are still in relationship with one another, despite everything. Canon Hays praised the way that everything had been done in the past few years with “grace and generosity,” and expressed her anticipation for the future. She noted her particular gratitude to her mentor, the newest bishop of the Southern Cone. And so here we are, whether like Frodo to sail into the west or like Sam to stand upon the shore and listen to the sigh and murmur of the waves. And truly an end has come to the story and song of these times. Paris is Worth a Mass? Over the weekend, I had occasion to turn to one of the great English historical classics, George Dangerfield's The Strange Death of Liberal England, published in 1935. The following passage immediately caught my eye. A similar question hung over Lambeth 2008. Behind all the worthy language of building relationship and understanding cultural context, lurked the spectre of division and subdivision. Critics of the meeting predicted even before it began that it was so structured as to fail to express any view that might be regarded as definitive; so far, they seem to have been proved right. To my mind, this is not something that can be blamed solely on the Archbishop of Canterbury. Unquestionably, the choice of an indaba structure was guaranteed to produce an outcome very different from that of Lambeth 1998, yet it was open to those conservatives who went to Lambeth to decline to participate in such activity with any bishop who refused to disavow the recent innovations in theological teaching and practice, as defined by the Windsor Report. With the boycott by most GAFCON participants, the only bishops to whom this would have applied would have been certain representatives of The Episcopal Church and the Anglican Church of Canada. Yet - the statement from the Sudanese bishops apart - no such declaration was made. By the same token, I now find it increasingly difficult to view Rowan Williams with quite the same level of equanimity as heretofore. While I agree that the covenant process cannot and should not be rushed and I accept as valid his argument that his powers beyond the Church of England are seriously constrained, if he believes that the traditionalist point of view is a valid expression of Anglicanism there are many ways in which his moral authority could have been exercised to provide temporary shelter for those in the minority, in liberal and conservative provinces, if necessary. In North America, the threat of recognition of the CANA and AMIA bishops would probably have been enough to elicit compliance with Dar-es-Salaam. Archbishop Rowan spoke at great length in his presidential addresses about the need to build trust. When things have reached the state that we currently endure, building trust involves giving the minority the minimum they feel they need, even if it seems excessive. In 1911 the House of Lords died in the dark; within a decade their Liberal foes had faded from the scene and the Lords endured with a power of temporary veto. In 2008 it would appear that the Anglican Communion is resolved to die in the light. A Hymn For Lambeth 2008? If Samuel Stone was good enough for 1867, he's good enough 140 years later. And let's be clear about Verse Three. Every part of the Church - the orthodox included - have issues to address. Triumphing in our own strength could be as deadly as succumbing to heresy.